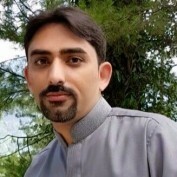 Muhammad Asif Moved to Dubai, UAE from Pak, He studied BS-IT and Business at KUST and proceeded to work in professional environment, assuring customers delight on Bank Services. His Passion is about fast operational services. With encouragement from seniors and friends, Muhammad Started the Self-Storage Dubai Company in 2012, in free time, Muhammad loves to go out with friends. He also runs a Luxury rent cars and loves to promote Luxury Cars. Grateful for an amazing group of friends, Muhammad makes sure that new clients are welcomed in a way that has become customary in Dubai. In "Choosing out for Storage services,Make Sure to Check the Basics" by Muhammad Asif, the author explains clearly about self storage and characteristics before one should choose providers features.